National award winning young STEM Club members at Loreto Grammar School want to use their appearance on BBC Breakfast Time to further their collaboration with companies and local industry. Loreto's junior 3 STEM (Science, Technology, Engineering and Maths) teams were singled out by the BBC from hundreds of exhibitors at the Big Bang Science Fair at the NEC for their ground breaking project(s) to help deaf people communicate more easily; design transport solutions for the future and devise a Smart building. Their Engineering category focussed on invention, design and manufacture. Brilliant young inventors Emma Doherty, Jiya Jijo, Neha George, Teresa Johny and Cadence Grace all spoke throughout the morning to explain their design(s), including Emma’s invention of a Hi Tech glove fitted with the latest motion sensors that can translate sign language and then display it on a screen. Emma’s project went on to win the Aveva Innovation in Technology prize for the best project demonstrating technological innovation in the Engineering section, beating over 100 finalists exhibiting on the day selected from over 1,000 entries nationwide. Loreto's National Expert STEM teacher Elaine Manton, who was the only teacher in Europe invited to sit on an influential advisory panel in Brussels with leaders, ministries of education, teachers and EU leaders who met to discuss the future of youth skills, employability and education across Europe is a former U.K. TeenTech Teacher of the Year, said: “The response has been absolutely amazing and in the first 24 hours since being featured the school has been received a whole host of congratulations from the local community. Mrs Manton added: “The girls were wonderful, just a little nervous when Steph McGovern asked the first question but when they started to talk about their projects they came to life and everyone could hear the passion they had for their invention. 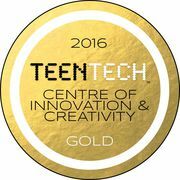 Loreto's is one of only six schools nominated nationwide to be a Teen Tech Centre of Innovation and Creativity Gold Level sharing ideas and best practise with other schools and have won a succession of top awards at TeenTech in recent years. Elaine Manton runs a range of STEM related clubs at Loreto with some 50 11 to 18 year-olds attending at lunchtimes over four days a week. Pictured from left to right are with Elaine Manton are Neha George, Teresa Johny, Cadence Grace, Jiya Jijo and Emma Doherty.